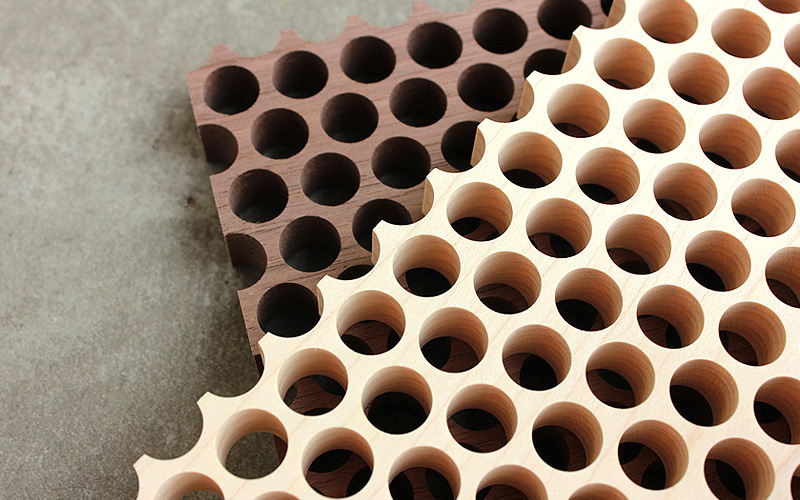 This pot stand is made of solid wood by repeatedly punching 12mm diameter holes. 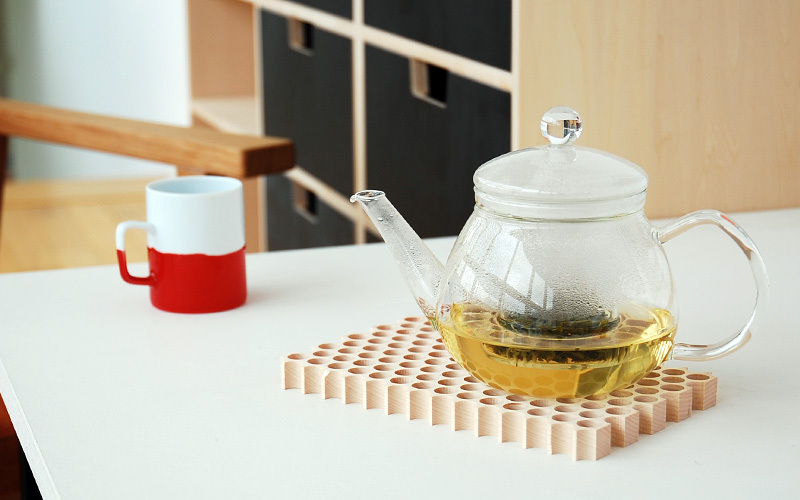 Dot pattern is not only an element of its design but also functional keeping it light-weighted and warp-resistant. 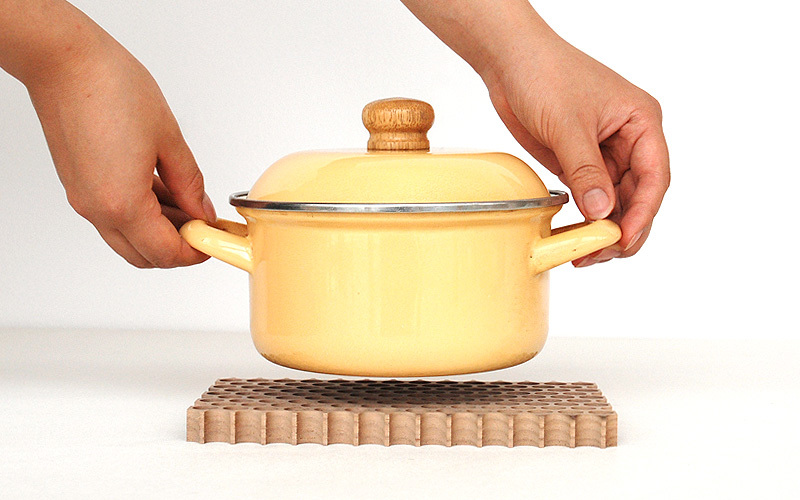 With its performance as a thermal insulator, you must agree that this drilled wooden board is an excellent pot stand.